March began with our first city break of the year to Prague and ended with a long weekend in Fano for the Easter holiday. 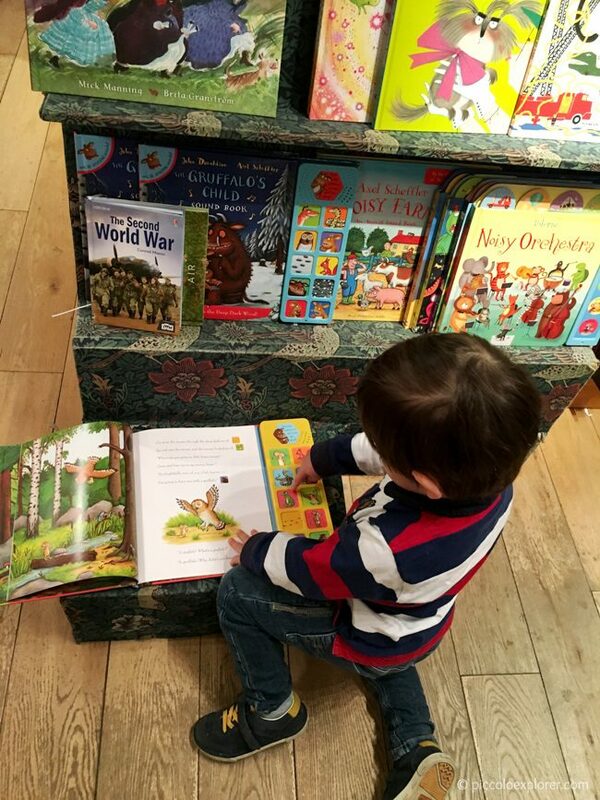 The time in London between those two trips was mostly spent with a nasty cold that kicked off with a visit to the A&E in the middle of the night when Little T awoke struggling to breathe and with the bark-like cough of croup. I called an ambulance and within moments, we had the paramedics in our living room treating him with a dose of corticosteroid that reduced the swelling in his throat and eased his breathing. By the time we were at the hospital, his condition had improved and I cannot thank the paramedics enough for calmly and swiftly helping us through such a terrifying experience, even making a rubber glove balloon for Little T to hold on to. Although the croup fortunately went away quickly, Little T (and eventually I) was left with an awful cold that dragged on until just before our trip to Fano. For more updates of what we’re up to, you can find us over on Instagram at @piccoloexplorer and now on Snapshot at piccoloexplorer. 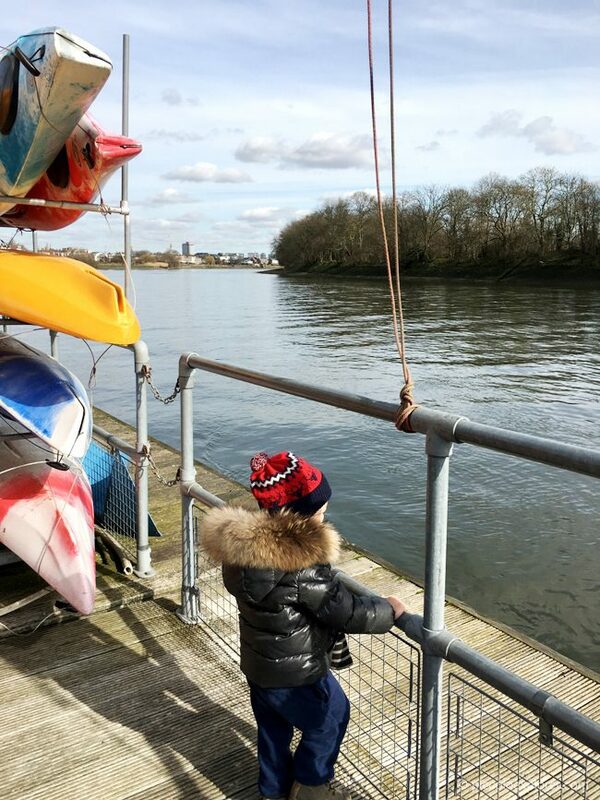 On a sunny morning at the beginning on the month, we ventured over to riverside Chiswick, one of my favorite local spots to visit, for a walk along the Thames Path. We usually walk from the Promenade by Dukes Meadows towards Chiswick Pier. 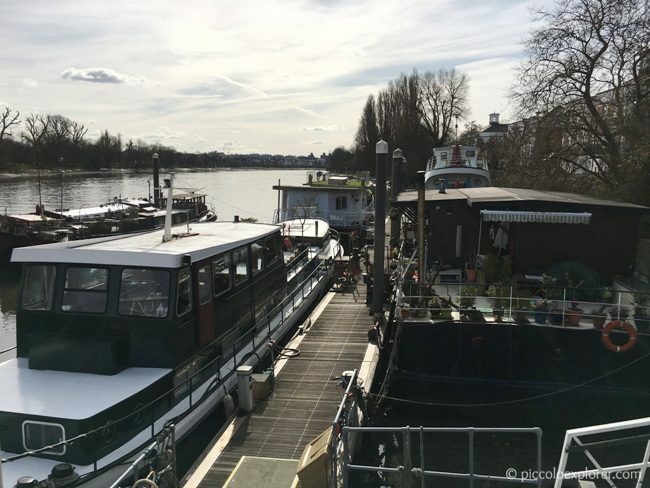 I love checking out the riverboats docked at Chiswick Pier, especially the one teeming with potted plants. 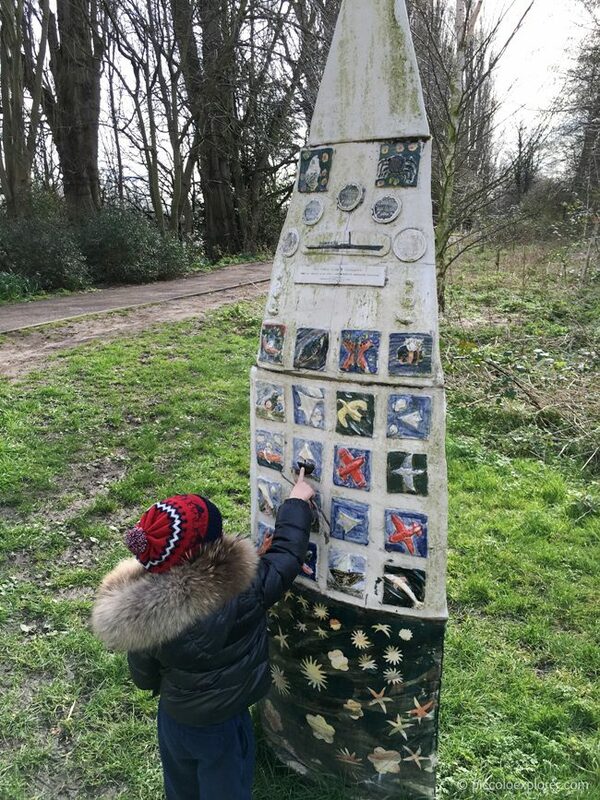 After a look at the drawings on the statues at the entrance, we then headed back for a walk through Dukes Meadows. 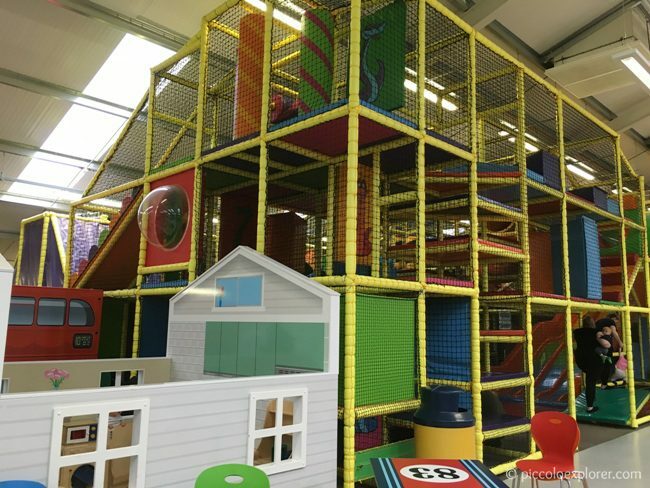 To escape another cold, dreary day having the house turned upside down, I brought Little T to this large soft play centre in Brentford, about a 20 minute drive away. I’ve been here a couple of times before, the last time being over a year ago, and they’ve added quite a lot to it. 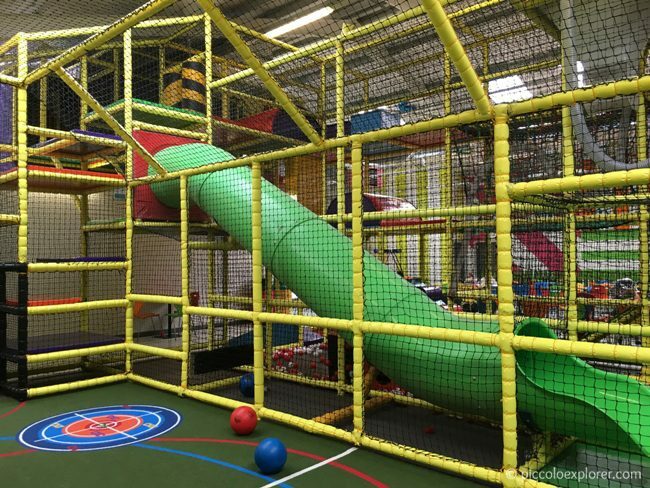 The baby and toddler section (don’t have a photo) has ride-on toys and a space to play with little trucks and fire engines, along with a small climbing frame with a slide, swings, trampolines and ball pit. Then there’s a pretend play area that they expanded on since our last visit (part of it shown in photo below) – the highlights being the bus, the kitchen and the construction area. Then there’s the huge climbing frame, with several slides, another ball pit and an area to play football. Little T really had a blast here and so did I taking him down the tall, bumpy slide. I’ve seen mixed reviews about Snakes & Ladders and we’ve enjoyed it each time we went. We visit in the mornings and I avoid going over school holidays and weekends, so it’s never crowded when we’ve been there. The cafe offers a mix of hot food, sandwiches, drinks and healthy snacks. 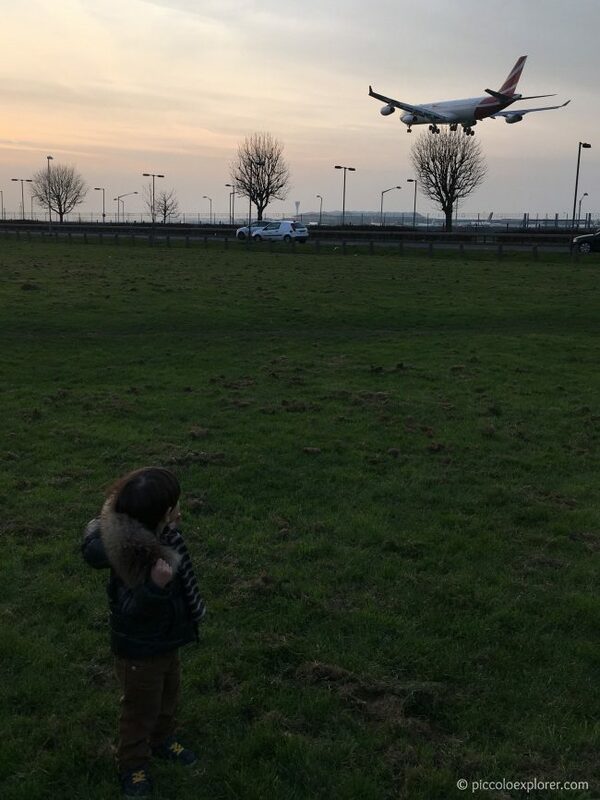 After dropping Mr. G off at Heathrow on his way to Taipei for a work trip, I brought Little T to Myrtle Avenue in Hounslow for some plane spotting since there isn’t anywhere in the airport terminal where we, as visitors, can watch the planes on the runway. 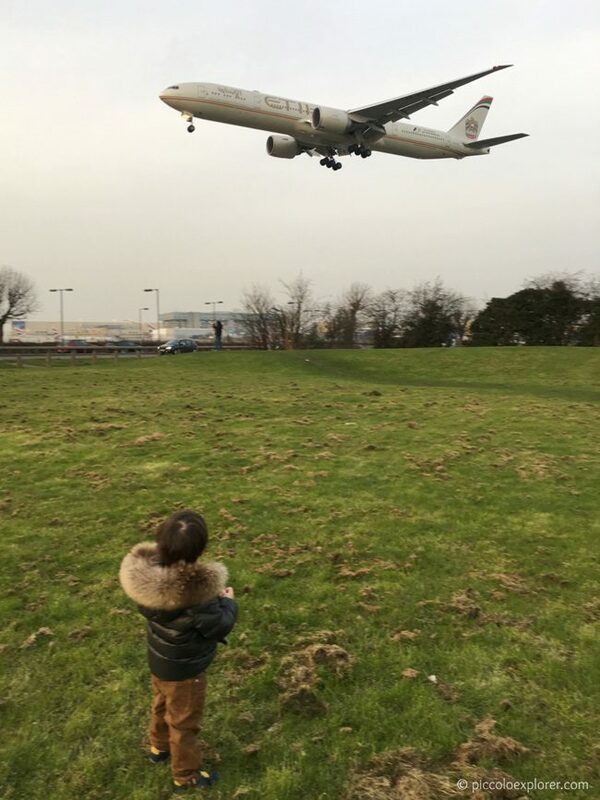 Myrtle Avenue is a small residential street next to a large patch of grass, where you get a great view of planes coming in to land at the airport across the carriageway. 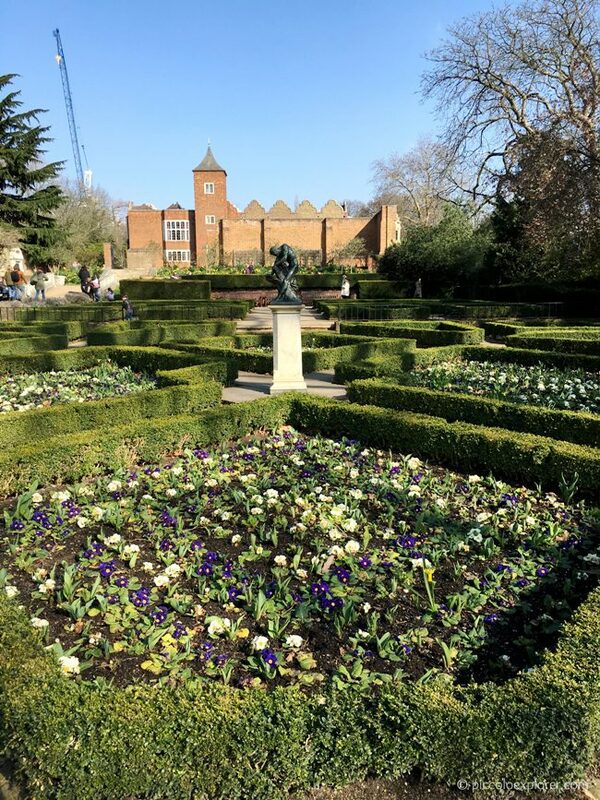 It was a gorgeous, warm day when we went over to Holland Park. We first stopped by the adventure playground then walked around the beautiful gardens and had some lunch at the café. 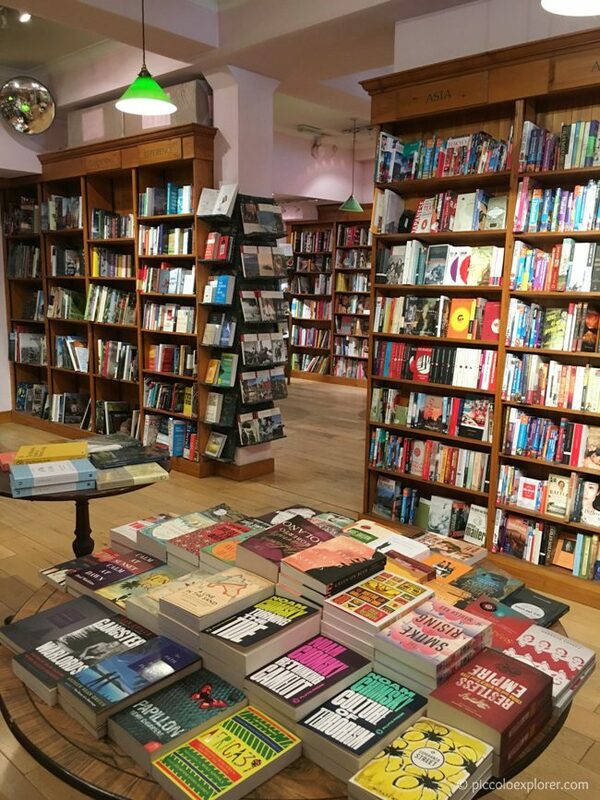 We also walked over to Daunts Books near the Holland Park underground station, a short walk away from the park. 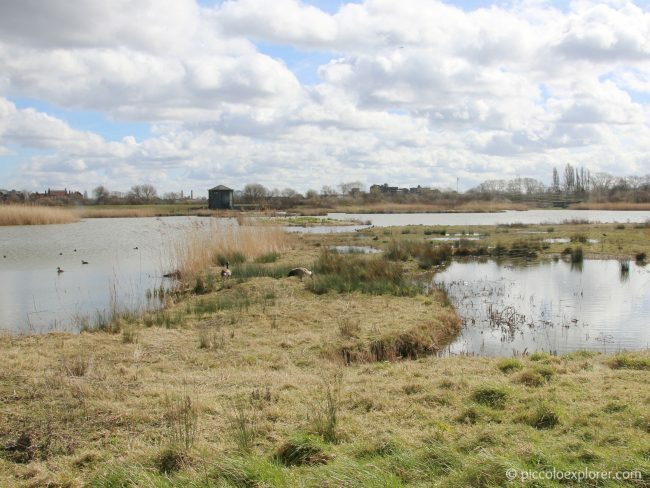 I was looking for inspiration for our upcoming trips and some new books for Little T.
A couple of days after coming back from our Easter weekend break, I brought Little T to the nearby London Wetland Centre in Barnes which always makes for a fun day out. I’ve written more about that day, and a look back to a visit last August, in this post. That was it for this month’s outdoor activities as the rest of the time we stayed in recovering from the cold. 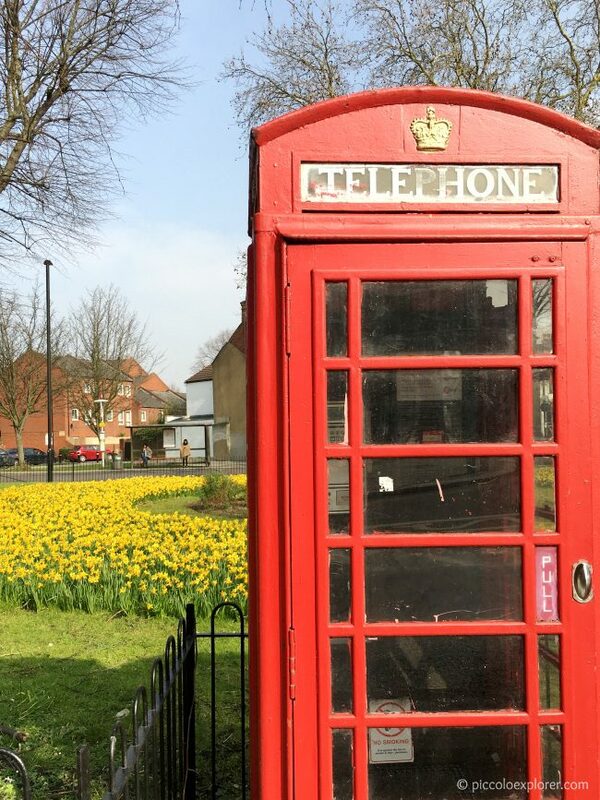 On a lighter note, this colorful corner of Chiswick always brightens my spirits especially with the bright yellow daffodils as spring finally arrived in London. The blog took a backseat last month but I hope to catch up in the coming weeks and wrap up on destination guides for Oahu and San Diego and finish up posts on previous days out around London. Coming up first will be a post on our Snapshots from Prague. We had a fantastic time visiting this beautiful city and it turned out be the perfect weekend city break for us. 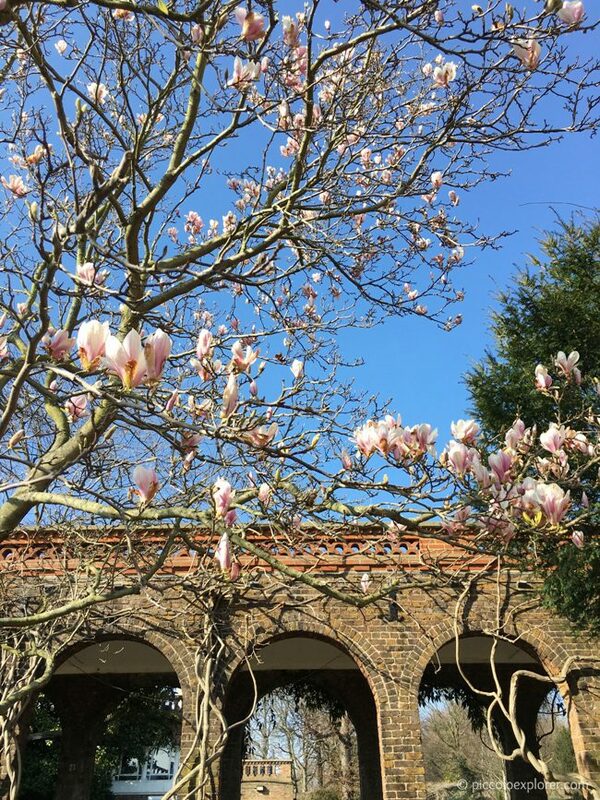 This month, I’m looking forward to warmer weather, spending more time outdoors, visiting a local museum and taking a day out to a farm outside of London. Myrtle Avenue is a revelation! My daughter would love that! 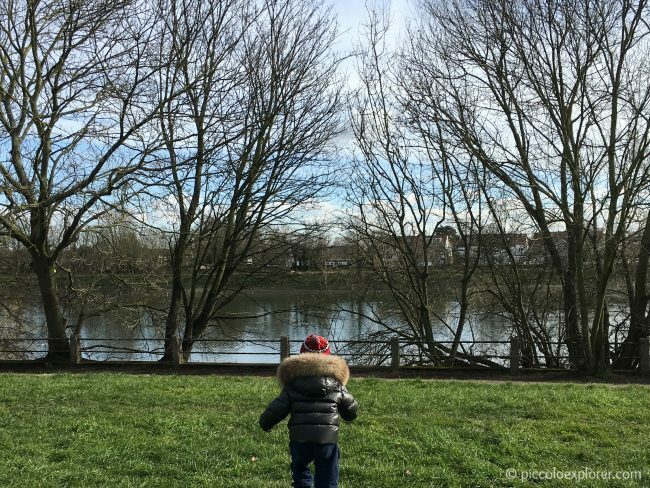 I’m also a big fan of the Thames Path – we love the walk from Putney up to Hammersmith! Thanks very much, I was so happy that he recovered so quickly after that scare. 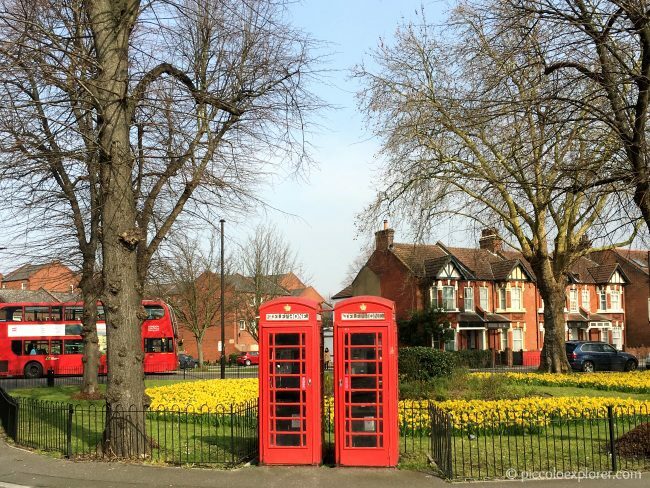 The area with the phone box is one I admire as I’m quickly walking by but I’m glad I stopped that moment to take a picture, it ended up being one of my favorite photos! I’m glad we managed some days out, the second half of the month was pretty miserable. Thanks for hosting #TheList!